The classification of stars into their various types is one of the fundamental areas of astronomy. This book is a comprehensive handbook on the tools, methods and results of stellar taxonomy. Although this subject is firmly rooted in classical astronomy, vast improvements in observational techniques have transformed the subject and greatly broadened the wavelength regions available for study. The first six chapters describe modern methods of spectroscopic and photometric classification. The remaining nine chapters describe particular families of stars, progressing from the hottest to the coolest. Within each category a description is given of the normal type and all the peculiar stars. Throughout the emphasis is on the phenomenology of classification, rather than the underlying astrophysics. 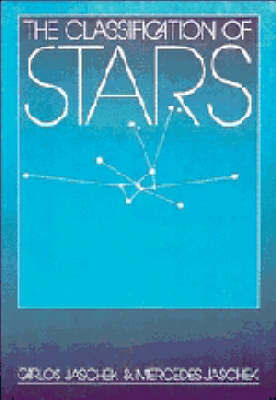 Both authors have devoted themselves to developing the international centre for stellar data at Strasbourg, which uniquely qualifies them to write this definitive handbook for professional astronomers.